Fadjar I. Thufail’s chapter is one of the results of the Cultural Property sub-project on the significance and use of culture in the constitution of “indigenous” communities and their activism in Indonesia (“Cultural Heritage Between Sovereignty of Indigenous Groups, the State and International Organizations in Indonesia”); a first publication with contributions by the project members Müller, Sanmukri, Thufail, Arizona and Cahyadi, Merlan (and further authors) appeared in Hauser-Schäublin 2013 (see also the chapter by Müller and Sanmukri in this volume). The association of (former) kings and sultans in today’s democratic republic of Indonesia with which Thufail’s 2013 and the present contribution deal has to be seen in a larger social and political context: the movement of the “indigenous peoples” in Indonesia, their claims and political activism and the way in which they have successfully interlinked themselves with international civil society organizations and sponsors. Hundreds and even thousands of communities in Indonesia who define themselves as “indigenous peoples” or masyarakat adat – the latter term actually means peoples whose life is shaped by customs and traditional social and legal regulations – have organized themselves in the Alliance of Indigenous Peoples of the Archipelago (AMAN) in order to fight for recognition, the restitution of the former rights and properties they had been dispossessed of by the state (Moniaga 2004). This mass movement became possible through the democratization and decentralization processes that set in after the fall of the Suharto regime in 1998; legal bills that aim at the recognition of masyarakat adat are under way (see Arizona and Cahyadi 2013). The most contested matters are the criteria to define “indigenous” communities, the institutions who are entitled to define them and how the state will acknowledge them. Material as well as immaterial properties are at stake in this debate; land formerly owned by masyarakat adat has become a major source of income of the state due to the resources located there. Similar to the way in which indigenous communities reposition themselves vis-à-vis the state by referring to their “culture” (Li 2000), members of the former nobility have recently started also to organize and reposition themselves vis-à-vis the state by emphasizing the importance of their aristocratic culture such as visual arts, music, dance, architecture, in short: witnesses of a glorious past about which today Indonesia boasts. The kings and sultans, too, were dispossessed of their privileges and riches due to the state’s constitution since independence. Apart from similarities, there are significant differences to be noted: individual members of the nobility had managed to gain important political positions already during the Suharto era. Apart from that, rivalries between and fissions within royal houses, questions of legitimate leadership and the combination of governmental and (unofficial) aristocratic offices (as well as conflicts between them) characterize the nobility’s struggle to regain some of their lost symbolic status and power. Cultural resources are, as Thufail’s chapter shows, a major means to achieve this goal. 1The outcome of the 2014 legislative election in Indonesia has surprised candidates from the Kasunanan palace of Surakarta.1 Out of seven princes and princesses competing for legislative positions on the local and national level, six failed to get enough votes. Prince Ginda Ferachtriawan was the only aristocrat who acquired sufficient votes to win a seat at the Solo District legislative body. However, few people knew that he is a member of royal family, because the prince did not use his noble title during his campaign and on the ballots. Other running aristocrats, such as Princess Wandansari Koes Moertiyah (Gusti Mung) and her husband, Prince Eddy Wirabhumi, added their noble titles to their names displayed on campaign boards and included them on the ballots. Despite decorating their names with the titles, they collected few votes and lost the election. 3In the post-1998 political decentralization, the aristocrats find a room to maneuver that they can use to promote their political and cultural interests. However, they compete against bureaucrats and politicians who also want to take benefit from the decentralization and run for public offices, something that was impossible under the New Order regime’s policy of centralization. At the same time, ethnic rights activists challenge the aristocrats efforts to reclaim roles as adat leaders, and in doing so the right activists reinterpret the notion of adat (customary norms) to exclude royal culture. This essay illustrates the competition and negotiation over political office and cultural role, and how they complicate the discourse of indigeneity in post-New Order Indonesia by resituating the discourse in subjective processes instead of in legal battles. 4Aristocrats and ethnic rights activists compete over the definition and material contexts of indigeneity. While the kings – sultans and the rajas – situate their claim in the “great” tradition of literacy and civilization, ethnic activists draw on authenticity and auchtotonous culture to present their claim. Despite differences in their material contexts, both are debating over a legitimate definition of indigeneity that affects each other’s claim to be the guardian of culture. The claim must include a justifiable definition of indigeneity, and in this context the state as well as international bodies offer resources and instruments that the aristocrats and the activists can appropriate and deploy. However, the normative contestation over a legal definition of indigeneity constitutes only part of the notion of indigeneity that has been emerging in post-New Order Indonesia. The other, equally important part is the subjective engagement in talking about indigeneity through stories and performative gestures about one’s identity and one’s selfhood. 5When the United Nations announced the International Year of the Indigenous People in 1992 and later launched the Decade for Indigenous People (1995–2004), indigenous rights groups saw this as an opportunity to gain more recognition from states and international bodies. They had to secure legal recognition that would confer them the status of legitimate legal subjects. For this purpose, ethnic groups resorted to UN instruments to stress the criteria they had to meet in order to fall into the category of “indigenous people”. In so doing, the UN has introduced objective and normative principles of indigeneity that diverse ethnic groups from around the world can use regardless of existing internal differences in their communities (Kuper 2003; Merlan 2013). 6The Year of Indigenous People and the incorporation of the discourse on indigeneity in UN instruments dealing with cultural and social rights introduced an interpretive horizon that situated the struggle of ethnic groups in gaining political recognition from the state. This interpretive horizon fulfills historical norms, seized by ethnic rights activists to recognize and talk about ethnic identities. Since the inception of the legal and political instruments to address ethnic rights by the UN, the discourse on indigeneity has mostly rested on debates over legal, symbolic, and political criteria to shape the notion of indigeneity. However, this has happened at the expense of more narrativized accounts of selfhood. 7Discourses on indigeneity draw from normative certainty that affirms identity politics and rights claims, but at the same time they present subjective narrations one tells about one’s self. This account of the self lies at the center of recognition, since one’s account of selfhood requires others to recognize and acknowledge the statement one has made (Butler 2005). Therefore, discourses on indigeneity shape normative frameworks. At the same time, they need the scene when the account of the self is put forward, accepted, or negotiated. This scene of address makes the discourse on indigeneity a normative construct and an affective, relational reflection of identity. 8The first section of this essay discusses a normative horizon constituted by state politics. In addition to the United Nations, the state has been a central agent that shapes norms to limit the scope of indgeneity acceptable for recognition. In other words, the UN and the state offer the normative framework in which indigenous communities and aristocrats are situated. The second section addresses the embodied gestures and narrative accounts of aristocrats to tell about themselves. These gestures and narratives are cultural practices of the aristocrats to make sense of norms and recognize their selves and subjectivities. Therefore, the accounts are a crucial reflexive strategy to situate the aristocrats in the contemporary discourse on indigeneity. 9Since proclaiming independence from the Dutch in 1945, Indonesia has decided to adopt a republican political system and has crafted democratic institutions to represent public interests. The national consensus of a united state (negara kesatuan) left no room for royal monarchies to maintain their political and territorial controls. The monarchies were to relinquish control to the state. Unlike the colonial Dutch government that had relied on them to promote its political and economic interests, the republican state did not recognize the palaces as legitimate political subjects and sought to lessen the influence the aristocrats had on local businesses. The 1945 proclamation of independence transformed the state-monarchy relationship in postcolonial Indonesia, setting the stage for a continuous negotiation over the place of aristocracy in national and local politics. 10Prior to 1945, the Vereenigde Oostindische Compagnie (VOC, Dutch East India Company) and the Dutch colonial government relied on local aristocrats to secure access to valuable resources and labor. At the same time, local aristocrats looked for protection from the Dutch against rival palaces, the Portuguese, the Spaniards, and the British. The Dutch, seeing an opportunity to monopolize trade routes and resource extraction, played their political card by selecting royal families they backed and suppressing others who offered little economic benefit to them. Since imperial powers arrived at the archipelago, the aristocrats had been caught in economic competitions between colonial powers over gaining access to cloves, nutmeg, and forest products – resources that sold very well on the European market. 11The Dutch colonial government and the local aristocrats developed contractual agreements to secure control over the exploitation and trade of valuable resources for the benefit of the colonizer. To compensate the aristocrats, the Dutch helped to protect the aristocrats’ symbolic and social status, offering military assistance, and establishing cultural institutes such as the Javanology Institute to legitimize the aristocrats’ symbolic claim as guardians of culture.3 The Dutch also allowed the royal families to enroll in Dutch schools and to work as lower ranking bureaucrats in the colonial government. This relationship pattern between the aristocrats and the colonial government continued until Indonesia gained independence in 1945. The new republican state faced a daunting task to exercise political authority on local aristocrats, who suspected that the republican government wanted to abolish the monarchies. The political instability between 1945 and 1949 affected the postcolonial status of local monarchies who sought to maintain their political and economic privileges and at the same time had to acknowledge the legitimacy of the new republican government. The monarchies negotiated with the republican government over the economic and political resources that the aristocrats deployed to force the state to acknowledge their interests. 12Rajas and sultans have often influenced political decision-making processes on the national and local level, but their position fluctuates. During the colonial time, the Dutch colonial government privileged some courts while suppressing others. After 1945, the Soekarno regime (1945–1967) distrusted the royal families that had been close to the Dutch. The New Order regime (1967–1998) developed an ambiguous stance towards the courts and “court culture”. On the one hand, the intricate court-culture helped to justify the New Order regime’s symbolic power. But on the other hand, the regime worried that if the courts became too strong politically and culturally they might create “states within the state” (negara dalam negara), a suspicion that lingered until the New Order regime collapsed and the reformasi (reform) period ushered in. 13The political reform that started in 1996 had opened up more room for the rajas and sultans to voice their aspirations, even though the state remained uneasy to respond to the aristocrats. Nevertheless, the reform had allowed the rajas and the sultans to develop networks and organize collaborative public activities. Two major networks have emerged during this time: The Communication and Information Forum of Nusantara Courts (Forum Komunikasi dan Informasi Keraton Nusantara, FKIKN), and the Forum for Courts Brotherhood (Forum Silaturahmi Keraton Nusantara, FSKN). Princess Wandansari Koes Moertiyah from Kasunanan Surakarta initiated the FKIKN and Prince Gunarso Kusumadiningrat, also from Kasunanan Surakarta, established the FSKN. The FKIKN has been holding Festivals Keraton Nusantara (FKN) regularly since 1995, and the FSKN has been organizing Silatnas (Silaturahmi Nasional or National Gathering) of rajas and sultans since the first Silatnas in 2007. In the beginning the FKIKN and the FSKN held individual events, but since 2012 they have decided to coordinate the FKNs and the Silatnases. The FKIKN holds the FKNs in even-numbered years and the FSKN convenes the Silatnas every other years. 7 Due to the legislative and presidential elections in 2014, the festival had been cancelled. 16Support from the provincial or the district government lends the kings and the sultans political power they can capitalize on, but at the same time this support provokes conflicts. For example, the financial support given to Wajo Court (South Sulawesi) by the Tourism Office (Dinas Pariwisata) of the Wajo District had annoyed Wajo aristocrats more than it appeased them. The aristocrats perceived the financial support to have violated their independence and insulted their pride. A Wajo aristocrat noted that the financial support seemed like it was “buying their pride.” The presence of a family member of the Wajo aristocracy as an employee of the Tourism Office did little to change the perception. As a consequence, the Wajo aristocracy refused to participate in the Wajo delegation to the 2012 FKN. In order to fill in the space, the Tourism Office recruited dancers from a local sanggar (art club), trained and supervised by the office. Further, the office dispatched a delegation consisting of their employees. The Wajo aristocracy remained silent and let the office represent the Wajo Court at the 2012 FKN. 18The struggle of power between the Baubau city government against the Southeastern Sulawesi provincial government and between the Buton Sultanate against the city and the provincial government emerged over the claim of festival “ownership.” The provincial government claimed that the FKN 2012 was a “Southeastern Sulawesi Event” (acara milik Sulawesi Tenggara) and that the event just happened to take place in Buton Sultanate and Baubau city. The governor emphasized that all districts in the Southeastern Sulawesi Province shared equal contributions to finance the event, therefore no district could claim to “own” the festival. According to a provincial government official, the four-days FKN cost nearly 2 billion rupiah (approximately USD 208,000), and the Baubau city government claimed to have contributed its share of 500 million rupiah (approximately USD 52,000). If this information was correct, the provincial government financed the festival through the contributions made by the district governments instead of drawing from the province’s annual state budget. But on the other hand the district governments had to allocate part of their annual budgets to make the contributions. This mechanism enraged Baubau city government, claiming that the provincial government wanted to control the event although the large part of the funds actually came from the Baubau district’s budget. 20The Baubau city tourism office coordinated most preparatory work and arranged activities and programs of the FKN. The government officials did not consult the Butonese aristocracy in drafting the program and activities of the FKN. However, the Butonese sultanate stayed silent and did not confront the city government nor demanding more involvement in the preparation and programming of the FKN. The provincial tourism office took care of the matters related to the central government, for example inviting government officials and public figures to attend the symposium on “National Defense and Culture” (Ketahanan Nasional dan Budaya) held at the Baubau City Hall.10 The provincial office also handled sponsorship contracts with cigarette and cellular phone companies. The Baubau tourism office prepared and issued official invitations to all rajas and sultans, but the Baubau Major did not sign the invitation. Instead, it was signed by the Governor of Southeastern Sulawesi and the Sultan of Buton. The government’s attempt to dominate the preparation work startled many aristocrats. They balked at the governor’s initiative in signing the official invitation letter. Even though the provincial or the district governments were also involved in the previous FKNs, the official letter of invitation usually came from the court association (FKIKN), signed together with the raja or the sultan hosting the FKN, instead of coming from a government official. 21The opening ceremony of the 2012 FKN at the Baubau City Hall drew a large crowd of people. A huge stage was built on the spacious front yard of the city hall. Two large television panels flanked the stage to allow more than one thousand visitors to see what was happening on the stage. The stage looked like a live music performance with large loudspeakers playing recorded Indonesian and western songs, but no traditional Butonese songs were heard. On the stage the Governor of the Southeastern Sulawesi Province welcomed all delegates of the nusantara kingdoms and sultanates. In addition to the governor, Princess Koes Moertiyah, who was the General Secretary of the FKIKN, the Director of Creative Economy of the Ministry of Tourism and Creative Economy, and the mayor of Baubau also delivered their welcoming speeches. In between the speeches, a Butonese gambus performance entertained the audience. Wa Ria, the gambus artist, sang pantuns (poetic songs) in Butonese language, and their lyrics explicitly praised the success story of Amirul Tamim as the mayor of Baubau. The gambus performance turned the FKN opening ceremony into a campaign stage for the mayor of Buton. 25The 2012 FKN program included an indoor exhibition called Pameran Pusaka Nusantara (Exhibition of Nusantara Heirlooms) held at the Betoambari Stadium. The committee prepared 30 booths, but only 20 booths were occupied and ten booths were empty although these booths had already been allocated to registered courts. The exhibition title suggested that visitors could get information on various royal heirlooms (pusaka) from palaces all over the archipelago. But instead of the heirlooms, the visitors saw mostly photographs and genealogical charts displayed at the booths. Only Surakarta, Yogyakarta, Tallo, and Cirebon courts did bring the pusakas or replicas of the precious materials. The failure to present original pusakas in the exhibition revealed conflicts between local tourism offices and the palaces over the ownership of and access to royal regalia. The tourism office with no endorsement from the aristocracy had no access to the royal pusakas. The Wajo case was a clear example on how the tourism office had no support from the Wajo aristocracy, and as a result they were unable to bring any pusaka from the palace to be exhibited. Buton sultanate’s booth was another example. The internal conflict in the sultanate created suspicion and distrust among the aristocrats, and each party would not let the other party gain an easy access to court heirlooms. 26The arrangement of the exhibition booths illustrated power structures like the one enacted through the composition of parade participants. Most booths occupied the mid-section of the hall, and few others lined up against the walls. Visitors entered the hall through a door and as soon as they stepped into the hall, they faced the exhibition booths of Yogyakarta Sultanate and Surakarta Hadiningrat palace. While other participants, including Buton Sultanate, only got one booth, Yogyakarta and Surakarta each occupied two booths. They decorated their booths lavishly with photographs, paintings, and replicas of pusaka, and put a large flat screen television in the booth. Next to Yogyakarta’s booth was a very simple booth of Kupang palace, a plain booth having no decoration except a display of photographs attached to cardboard panels and covered by cheap transparent plastic. The lay-out structure of the exhibition demonstrated the privilege given to Yogyakarta and Surakarta palaces. Allocated a space in front of the entrance door, they became the center of attraction. Not even the Buton Sultanate’s booth had a strategic location. 27The politics of exhibition display and street carnival reveals competitions among the nusantara palaces. Although the sultanate of Buton was the host of the 2012 FKN, the sultanate did not automatically receive full support from the local government. The Baubau city government and the Baubau tourism office, as the organizing committee of the FKN, privileged Surakarta and Yogyakarta palaces over Buton Sultanate and assigned better facilities to the Javanese palaces. At the same time, the Javanese palaces enjoyed the privilege bestowed on them by the local government. On the other hand, other rajas and sultans disliked the blatant encroachment of the local government into the FKN. An incident during the opening ceremony illustrated this point. The Sultan of Kutai Kartanegara decided to withdraw a souvenir he was supposed to deliver during the opening ceremony. He commented that he wanted to hand the souvenir over to the Sultan of Buton, not to the government officials. But since the Sultan of Buton was not called on the stage to receive the souvenir, he then decided to bring the souvenir back home. He said that the souvenir was a token of appreciation and honor to a fellow king, therefore only the Sultan of Buton had the rights to receive the souvenir. 28Prince Haryo Gunarso Kusumadiningrat of the Forum Silaturahmi Keraton Nusantara (FSKN) at a Dialogue Forum during the 2012 FKN said that the courts had to reposition their role to respond to the current politics and globalization. Rajas and sultans should lead an effort to protect tradition and adat, cultural resources that played a central and indispensable role to shape national selfhood (jati diri bangsa). On many occasions, Prince Gunarso argued that the rajas and the sultans had contributed much in the revolutionary struggle against the Dutch, and that therefore the state needed to help them to preserve and protect their cultural identities and traditions. 29The Dialogue Forum at the 2012 FKN touched upon the topic of relationship between the state and the aristocracies. As Princess Koes Moertiyah of the FKIKN contended, the state had paid limited attention on the recent problems the aristocrats had faced and on the aspirations they had expressed. The FKIKN General Secretary pointed out that the rajas and sultans had concentrated mostly on cultural matters, avoiding politics and were therefore unable to establish a good communication with the state. However, as the nation opens more to foreign influences, it has challenged the rajas and the sultans to find the best strategy to protect their traditions and properties. Introducing the rajas and the sultans to national politics could draw the state’s attention to problems and interests of the aristocracies. 30The Dialogue Forum took place at the Palace Baruga (a renovated meeting hall) located inside the Fort of Buton and next to kamali, the residential quarter of the Sultan of Buton. All rajas and sultans participants of the FKN were present at the forum. The forum was open to the public, unlike the closed plenary meeting of the FKIKN held one day earlier. The FKIKN arranged the format of the dialogue to resemble a public seminar or symposium. They invited a keynote speaker, Dr. Hasyim Purba, an expert on agrarian law, from Medan. Speaking alongside Dr. Purba were Princess Koes Moertiyah and her husband, Prince Edhy Wirabhumi of Surakarta Hadiningrat palace. The head of the Buton Planning Agency (Bappeda) moderated the forum. Princess Moertiyah explained that the FKIKN had invited Dr. Purba because he had experience working with and advising the Deli Sultanate on how to reclaim adat lands that used to belong to the sultanate but now that had been taken over by individuals or private companies. She said in her introductory remark that the last few years after the 1998 reformasi had witnessed how the ownership of adat land and the encroachment into royal grounds became a contentious issue and a source of conflicts between the palaces against plantation or mining investors. She continued to explain that unless the rajas and the sultans knew how to protect and reclaim adat lands, their efforts to maintain adat and tradition would face difficult constraints. No palace would exist without territorial ownership, Princess Koes Moertiyah emphasized. 31Dr. Hasyim Purba described what he had done to assist Deli sultanate to reclaim their adat lands and bring the matter to the state court. He argued that the most difficult problem was in proving that the sultanate had legal ownership over the land. It had to demonstrate that the lands were properties of the sultanate since the plantation drew on the argument that the ownership of some plots of land had been transferred to the (colonial) state, and that the sultanate had no legal jurisdiction over the plots of land. In his work counseling the Sultan of Deli, Dr. Purba managed to prove that the colonial state had appropriated some plots of land without going through proper legal channels. However, even though he had argued that the plantation had no historical rights to claim ownership over the plots of land, proving that the sultanate had a traditional right of ownership had been an entirely different and difficult process. The lack of acknowledged legal instruments to recognize ownership of adat land had weakened the sultanate’s cause. 32Princess Koes Moertiyah supported Dr. Purba’s statement and added that the rajas and the sultans should fight in order to be recognized as a masyarakat hukum adat (adat-law community). For a long time the state had recognized the rajas and sultans as cultural or customary leaders, but the state had never acknowledged the palace as an adat-community. Princess Moertiyah drew attention to the draft of the Law on the Recognition and Protection of the Rights of Adat Community (Rancangan Undangundang Pengakuan dan Perlindungan Hak-hak Masyarakat Adat, RUU PPMA). She said that as a member of the parliament she had learned that the government was drafting the law on the rights of adat-community to be discussed and deliberated at the parliament. She also argued that the government’s version of the RUU PPMA had not yet included the palaces or mentioned the interests of the aristocrats as adat-communities. 35The political status of rajas and sultans was a contentious issue after the 1945 proclamation of independence. The Dutch colonial government created swapraja domains in the early 20th century to force them to enter a quasi-contractual relationship with the Dutch. Unlike the Dutch, the post-1945 republican government had a more ambiguous stance toward the rajas and sultans. In September 1946, the Dutch managed to create a Federation of Kings to assure that the rulers in Eastern Indonesia held on the contracts they had signed with the colonial government (Ardhana 2005: 52). But the Federation of Kings lasted only a few years: the Law No. 44 enacted in 1950 by the republican government abolished the federation (Ardhana 2005: 54). 36The contentious and ambiguous relation between the rajas or the sultans and the postcolonial state peaked in 1946 when on July 15, 1946, the government issued the “Government Decree” (Peraturan Pemerintah) No. 16 to nullify the political status of Surakarta Hadiningrat palace and to revoke its ownership over swapraja land in Surakarta residency. The decree marked the end of swapraja domain in postcolonial Indonesia and, as a consequence, posed a serious challenge against the territorial sovereignty of the kingdoms and the sultanates. However, when other kingdoms and sultanates had to surrender their ownership rights over swapraja lands and relinquish their rights to govern and control territories, the Sultanate of Yogyakarta successfully retained its swapraja status. In fact the postcolonial government went further to confer Yogyakarta the status of a daerah istimewa (special region). Contrary to what happened in other places, the Sultan of Yogyakarta retained a sovereign rights on his swapraja land. The “Special Decree” (Maklumat) No. 18 issued in 1946 acknowledged the Sultan as governor and the Pakualam as vice governor of Yogyakarta. It incorporated the Sultanate and the Pakualaman palace into the postcolonial structure of the republican government. 37Yogyakarta is a unique case. Most kingdoms and sultanates face a more difficult situation. Only in Yogya do the kings (Sultan and Pakualam) become public officials of the state and maintain a sovereign territorial control over daerah istimewa (special region). On the contrary, even though contributing to anti-colonial struggle, the Sultanate of Aceh received no special treatment from the postcolonial goverment and its swapraja domain was abolished. Surakarta Hadiningrat palace was in a similar situation. Although they maintained a close connection to revolutionary leaders and the city of Surakarta was a center of the anti-colonial movement, Surakarta’s Kasunanan palace and Mangkunegaran palace lost their political influences and their swapraja territories. 38Beside abolishing swapraja domain, the anti-swapraja movement affected how rajas and sultans reflected on their political privileges and their identity as adat leaders in postcolonial Indonesia. Since the independence, the government often suspected the rajas and sultans to use their influence to create “states within the state” (negara dalam negara). As a consequence, the Old Order (1945–1967) and the New Order (1967–1998) political regimes distrusted the palace institutions. At the same time, it welcomed the rajas or the sultans who supported the regimes. In other words, the regimes repressed any involvement of the palaces in political processes, but allowed them to get involved in politics as long as they did not rely on their royal credence. 39The anti-swapraja politics informed how the rajas and sultans reinterpreted their aristocratic subjectivity. The end of swapraja domain has left them with ambiguous feelings when they have to explain what it means to become an aristocrat. The traditional justification to become a raja or a sultan – by declaring sovereign ownership or control over a territory – was no longer relevant after the swapraja domain disappeared. Therefore, the raja or sultan has to find a different credential if he wants the public and the state to acknowledge and recognize his symbolic legitimacy. 40When the swapraja domain in Buton ceased in 1960, the Sultanate of Buton also ended with La Ode Muhamad Falihi as the 38 th Sultan of Buton. Falihi appointed no caretaker of the sultanate and slowly the Sultanate of Buton faded away. The traditional institutions of the sultanate, such as the adat-council, also stopped to function and members of the adat-council grew older without anyone willing to replace them. Falihi’s son, La Ode Manarfa, the strongest candidate to replace his father should the sultanate continue to exist, never took any initiative to revive the sultanate. Instead, he pursued an active political career. In 1967, he was elected as a member of the national parliament (MPRS), and in 1971 he served as the spokesperson of the provincial parliament (DPRD-GR). He returned to the national parliament (DPR) in 1972, and again from 1982 until 1987. Manarfa was awarded “Certificates of Acknowledgement” (Piagam Penghargaan) from Golkar (the ruling party), the parliament, several ministries, and the National Defence Institute. All these demonstrated his close connection to the Golkar and to the military. Manarfa passed away in 2009. 41In Butonese adat, a king was elected by an adat-council (siolimbona) and did not inherit the throne. Because the adat-council had ceased to function in the 1960s, after LM Falihi died the sultan’s seat was empty. Everything was quiet until 2010, when the FKN in Palembang selected Buton to host the eighth FKN in 2012. The selection alerted government officials as they had to find someone who could represented the Sultanate. Butonese aristocrats were also anxious and embarrased to know that the sultanate lacked a sultan, and choosing a new sultan was a very difficult task because the adat-council was also empty and therefore could not perform its duty to elect the new sultan. In 2011, some people claiming to be the adat leaders in Buton gathered to revive the Sultanate of Buton, and their first step was to re-activate the adat council. A few months later the new members of adat-council gathered and held a session to elect the sultan. They eventually appointed La Ode Muhammad Ja’far, La Ode Manarfa’s nephew, as the new Sultan of Buton. The inauguration ritual of the new sultan took place on May 19, 2012 at the most sacred site of the palace complex (batu popaua). 42The election and inauguration of Ja’far as the new Sultan of Buton remained controversial. Some Butonese aristocrats refused to acknowledge the Sultan, claiming that because the adat-council was illegitimate, its decision was therefore could not be justified. Despite that, the aristocrats remained passive and made no effort to challenge the newly appointed sultan. The biggest challenge came from the local government. When Ja’far was inaugurated at the batu popaua, no city government officials attended the ceremony. The local government went further to issue a certificate acknowledging La Ode Ja’far Hibali as the new Sultan of Buton. This government’s move irritated the La Ode Muhammad Ja’far faction and many aristocrats who perceived that the government had interfered too deeply in adat matters. Even though La Ode Ja’far Hibali was the cousin of La Ode Muhammad Ja’far, his maneuver annoyed the Butonese royal family. Since then, the Butonese public has talked about the conflict as the conflict between an “adat sultan” (sultan adat) and a “certificate sultan” (sultan piagam). 43The conflict between the two sultans peaked at the 2012 FKN. Both sultans attended FKN activities and their presence at the event confused other kings and embarrassed the Butonese royal family. As the Sultan of Aceh wondered, “I do not know which one the Sultan of Buton is.” The son of the former secretary of the Buton sultanate also remarked, “This incident is a slap to our face (tamparan ke muka). Buton sultanate should be ashamed that this incident was taking place in front of rajas and sultans from all over the country.” The Ja’far faction reacted fervently to the presence of Ja’far Hibali. At a ceremony before the street parade commenced, the kapitalao (prime minister) of Ja’far went berserk, drawing his sword out and warning anyone to accept the decision of the adat-council. In Butonese adat-norm, the kapitalao’s gesture represented a very strong statement that no one was allowed to question the sultan. In the past, if the kapitalao drew his sword, he was expected to behead someone to prove that the statement he made was a serious one. 44The incident between the two sultans of Buton illustrates how performativity shapes legitimacy. A sultan’s legitimacy as an indigenous leader needs to be reiterated continuously through gestures and appearances. When his legitimacy is questioned, the aristocrat must reclaim his selfhood back through gestures and performances. At the festival, the competition over selfhood also took place on the stage between the government official and Sultan Ja’far. During the opening ceremony at the Baubau City Hall, the Governor of Southeastern Sulawesi appeared on the stage wearing a prestigious traditional dress specifically designed to honor prominent guests. However, the sultan dressed in a simple traditional costume for receiving regular guests. Butonese aristocrats sensed this gesture as the governor’s symbolic attempt to overpower the sultan and the sultanate. Wearing a more superior costume than the sultan’s dress, the governor was like saying that he was more important than the sultan. 45Verbal exchanges among participants of the FKN revealed another dimension in the production of selfhood. To address each other, the rajas and sultans say “Yang Mulia” (Your Highness). However, this intersubjective address does not always connote an acknowledgement of power bestowed on the individual. In everyday contexts beyond the formal setting of the FKN ceremonies and meetings, the words act simply as a mode of address with no reference to a certain source of authoritative power. My ethnographic observation at the Baubau Airport demonstrated this point. As people were lining up at the airline counter, a group of FKN delegates came, some still wearing their elaborate traditional costumes. They were talking to each other, and apparently a sultan was in the group indicated by repeated uses of “Yang Mulia” to address the person. However, people at the counter disregarded the sultan and continued with their check-in business without allowing the sultan to cut through the line. The words “Yang Mulia” could not draw their attention to the presence of a high-ranking aristocrat in the crowd. In other words, although the word “Yang Mulia” delivers a sense of aristocratic subjectivity in its everyday use among the aristocrats, the word had no power to call for other people to acknowledge the speaker and its interlocutor. If a raja or a sultan received and offered a recognition of aristocratic subjectivity through the intersubjective mode of address, other people perceived the scene of speaking as a disinterested dialogue. Only the aristocrats did employ the words “Yang Mulia” to deliver and recognize the sense of aristocratic-self. 46In this paper I analyze how postcolonial aristocrats in Indonesia have resorted to cultural realms and deploy cultural resources to reinstitute their symbolic roles, give accounts of themselves, and find a place in the contemporary discourse on indigeneity. The relation of power and the accounts of the noble self enacted during the court festival held in Buton reveal how aristocrats evaluate their political position to find room to maneuver in the decentralized political system and to recuperate aristocratic norms. Contextualized in this intricate web of power relations among the court, the state, and the inner-self are questions related to indigeneity, cultural performativity, and the meaning of adat. 47The first historical context shaping the relationship between the local courts and the state is the creation and the abolishment of swapraja (self-regulated) domains. The courts rely on the claim over ownership of landed property to assert their cultural sovereignty, and therefore any event that leads to the transfer or the elimination of the swapraja rights would affect the claim of sovereignty. The current effort of the members of the FKIKN to actively influence the legal drafting of the Law on the Recognition and Protection of Adat Communities reflects an attempt to reclaim the ownership of adat land and in so doing to reinstitute cultural sovereignty. 48The post-1998 decentralization policy is the second postcolonial context that affects the effort of the rajas and sultans to reclaim their roles as political actors and adat leaders. The aristocrats have found room for maneuvers in local elections which they can use to influence local decision-making processes and promote the interests of the aristocracy. At the same time, by taking part in local elections, the aristocrats challenge government officials who also run in the election. The provincial and district elections in Southeastern Sulawesi and the dispute over Yogyakarta Sultanate’s status as a special region (daerah istimewa) illustrate this confrontation between the aristocrats and the state officials. 49The third historical context deals with the politics of display. The colonial and the New Order politics of culture have privileged arts, material cultures, and musics in their definition of adat and in the expression of indigeneity. They have paid less attention to legal norms, language, and traditional knowledge. The practice of cultural displays emphasizes the symbolic authority of the court and the power of the state in defining what should be included and excluded from the notion of culture. The New Order regime relied on the politics of pameran pembangunan (the exhibition of development) and pawai pembangunan (the carnival of development) to assert the regime’s cultural authority. These practices of display limit the notion of indigeneity by emphasizing certain elements of culture and discarding others. This paper suggests that the politics of display continues to frame the relationship between the aristocrats and the state in the post-New Order time as the Buton Keraton Festival has demonstrated. 50Embodied gestures and verbal exchanges are everyday practices the aristocrats choose to assert and tell the stories of their noble-self. Indigeneity enters its ethical domain through the enactments of proper gestures and language spoken to mark and address a legitimate raja or sultan. During the FKNs, the rajas and sultans were expected to behave properly as legitimate adat-leaders by wearing appropriate royal costumes, following proper rituals, and speaking with courteous word choices. In this sense, indigeneity as it is enacted in everyday life resembles a technology of selfhood. It calls for the rajas and sultans to discipline themselves according to their indigenous norms. 2005 Pemerintahan Pusat dan Swapraja: Masalah Sentralisasi dan Desentralisasi. Masyarakat dan Budaya 7 (2): 52–68. 2013 The Revival of Indigenous Peoples. Contestations Over a Special Legislation on Masyarakat Adat. In Adat and Indigeneity in Indonesia. Brigitta Hauser-Schäublin (ed. ), 43–62. Göttingen: Universitätsverlag Göttingen. 2005 Giving an Account of Oneself. New York: Fordham University Press. 2013 Adat and Indigeneity in Indonesia. Culture and Entitlements Between Heteronomy and Self-Ascription. Göttingen: Universitätsverlag Göttingen. 2007 Return of the Sultans. The Communitarian Turn in Local Politics. In The Revival of Tradition in Indonesian Politics. Jamie S. Davidson and David Henley (eds. ), 149–169. London: Routledge. 2003 The Return of the Native. Current Anthropology 44 (3): 398–402. 2000 Articulating Indigenous Identity in Indonesia. Resource Politics and the Tribal Slot. Comparative Studies in Society and History 42 (1): 149–179. 2013 From a Comparative Perspective. In Adat and Indigeneity in Indonesia. Brigitta Hauser-Schäublin (ed. ), 185–200. Göttingen: Universitätsverlag Göttingen. 2004 Emerging Indigenous Peoples Movement in Indonesia. Focus 36 (June): 2–4. 1994 On the Subject of “Java.” Ithaca: Cornell University Press. 2013 Becoming Aristocrats: Keraton in the Politics of Adat. In Adat and Indigeneity in Indonesia. Brigitta Hauser-Schäublin, (ed. ), 167-184. Göttingen: Universitätsverlag Göttingen. 1 There are two palaces in Solo: the Kasunanan palace and the Mangkunegaran palace. This essay deals with the Kasunanan palace. 2 Adat is commonly translated as customary practice. But the translation fails to graps the subjective dimension of the term. In everyday life, it is a loose term referring to many aspects of culture, and in this essay I problematize further how aristocrats appropriate some and reject others to constitute what they consider a proper adat. 3 See Pemberton (1994). Pemberton traces the discursive process on how the Dutch established the Institut Javanologi to study and nurture Javanese court culture. 4 By choosing nusantara, instead of Indonesia, to call the event, the FKIKN wants to distinguish the festival from the cultural projects of the state. On the one hand, the word “Indonesia” implies that the event transcends regional, ethnic, and cultural differences, emphasizing the state’s project on unification. However, nusantara also holds a connotation of a mixture of diverse cultures and regions. Choosing nusantara, the palaces want to assert their claim to unique cultures and traditions while at the same time affirming that they are related to each other under the pretext of a unified country (negara kesatuan). 5 The second FKN took place in 1997 in Cirebon, attended by 20 courts. The third FKN was supposed to be held in 1999 in Gowa, but the economic and political crisis at that time had prevented the festival to take place. The FKN resumed in 2002 with Keraton Kutai Kartanegara in Tenggarong (East Kalimantan) acting as the host. The third FKN was held simultaneously with the annual Erau Festival and attended by 34 courts. After that, the FKNs returned to Java. Yogyakarta Sultanate hosted the fourth FKN in 2004 and Surakarta Hadiningrat palace hosted the fifth in 2006. In a meeting in Solo, the courts agreed to rotate the hosting islands. Since Kalimantan island had hosted the first post-New Order FKN and Java island held the fourth and the fifth FKNs, they appointed Gowa to host the sixth FKN in 2008, especially because Gowa Sultanate was supposed to host the cancelled third FKN in 1999. With regard to this decision, Princess Koes Moertiyah of the FKIKN said, “We must give Gowa back what has become his rights.” The number of participants increased from 34 courts at the third FKN to 43 courts at the sixth FKN in Gowa. The next FKN in 2010 was in Sumatra, hosted by the Sultanate of Palembang Darussalam. 6 Unfortunately I had no proper credential to observe this six-hours plenary meeting directly. It was closed to anyone but the rajas and the sultans members of the FKIKN. Courts that were not members of the FKIKN were also barred from attending the meeting. 8 Competitions and conflicts take place in other courts. The presence of four different kratons (courts) of Cirebon revealed a continuing power competition between the kratons, the kratons against the local tourism office, and the kratons against the Communication and Information Forum of Nusantara Courts (FKIKN). 9 Amirul Tamim, the current Baubau Mayor, was running for vice governor in the upcoming provincial election. He and his running mate for governor, Buhari Matta, challenged the incumbent candidates, the current Governor Nur Alam and Vice Governor Saleh Lasata. The mayor lost the election. 10 Speakers at this symposium included an official from Ministry of Defense, Mutia Hatta (University of Indonesia anthropologist and former Ministry of Women Empowerment), and Susanto Zuhdi (University of Indonesia historian and a specialist on Buton history). Although several rajas and sultans also attended this symposium, it was not included in the official program of FKN activities. 11 I had no chance to interview Wa Ria and ask her directly about the performance. But an official at the tourism office I interviewed denied that someone at the office could have instructed Ria to sing the election pantun. 12 AMAN often holds similar culinary feasts in between their meetings. This practice illustrates how culture is incorporated into the politics of indigeneity. 13 An official of Baubau Tourism Office responsible for organizing the parade explained that the composition of the delegates reflected an appreciation to the participating palaces. Therefore, they assigned Buton to the last position to honor the other guests. But he did not explain why Surakarta and Yogyakarta came after Palembang. If they wanted to keep the arrangement according to their geographical location, Deli Serdang should have come after Palembang. 14 On October 1, 2012, a small group of rajas and sultans led by Princess Koes Moertiyah met with the Legislative Commission (Badan Legislasi) of the Parliament. See http://www.dpr.go.id/id/berita/baleg/2012/okt/01/4497/baleg-dpr-himp (accessed October 2, 2012). THUFAIL, Fadjar I. An Account of Indigeneity: Court Festival and the Aristocratic-Self In : Kultur als Eigentum : Instrumente, Querschnitte und Fallstudie [en ligne]. Göttingen : Göttingen University Press, 2015 (généré le 22 avril 2019). Disponible sur Internet : <http://books.openedition.org/gup/551>. ISBN : 9782821875500. Thufail, Fadjar I. “An Account of Indigeneity: Court Festival and the Aristocratic-Self”. 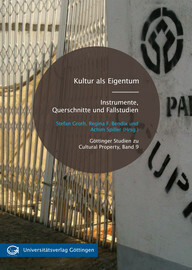 Groth, Stefan, et al.. Kultur als Eigentum : Instrumente, Querschnitte und Fallstudie. Göttingen : Göttingen University Press, 2015. (pp. 295-313) Web. <http://books.openedition.org/gup/551>.